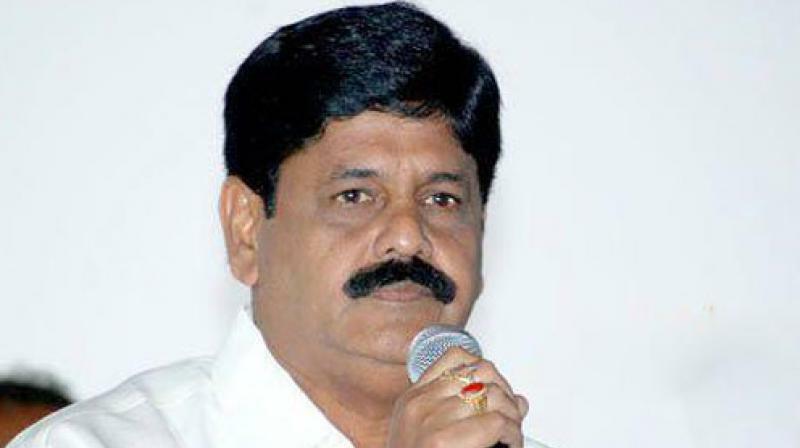 The former minister found fault with Mr Naidu for not receiving Prime Minister Narendra Modi during his visit to Guntur on Sunday. Nellore: Former finance minister and YSR Congress leader Anam Ramanarayana Reddy said that the Dharma Porata Deeksha of Chandrababu Naidu will not get any support because it is a selfish move. Speaking to mediapersons at his residence here on Monday, he ridiculed the AP Chief Minister for trying to convince the people with his dramas for Special Category Status. He reminded that the CM had criticised people demanding for Special Category Status in the past under the plea that it not the solution (‘Sanjivini’) for issues plaguing AP. He alleged that the estimates of Polavaram Project was inflated to `54,000 crore from Rs 16,000 crore for financially strengthening Naidu’s son. Alleging that the CM had insulted the PM, he lamented over the culture of Chandrababu Naidu. Stressing that the PM is a guest to the state, he reminded that the then Chief Minister NTR had toured with the then PM Rajiv Gandhi during his visit to drought affected areas. Stressing that the Chief Minister had directed Ministers Sidda Raghava Rao and Nakka Anand Babu to attend the Prime Minister’s programme, he urged the Chief Minister to drop the two ministers from his Cabinet for ignoring his orders. Maintaining that the Central government is also giving `1.50 lakh for each house built under Housing for All Scheme, he questioned the rationale behind the CM claiming total credit for the scheme. He alleged that the government had inflated the cost of each house for kickbacks to Nara Lokesh through Urban Development Minister P. Narayana. Sarveypalli legislator and YSR Congress district unit convener Kakani Govardhan Reddy was also present with Ramanarayana Reddy.